Instructional scaffolding is a support structure that good teachers use all of the time. We design lessons in a number of ways to encourage students as they try to attain the lesson’s goals. 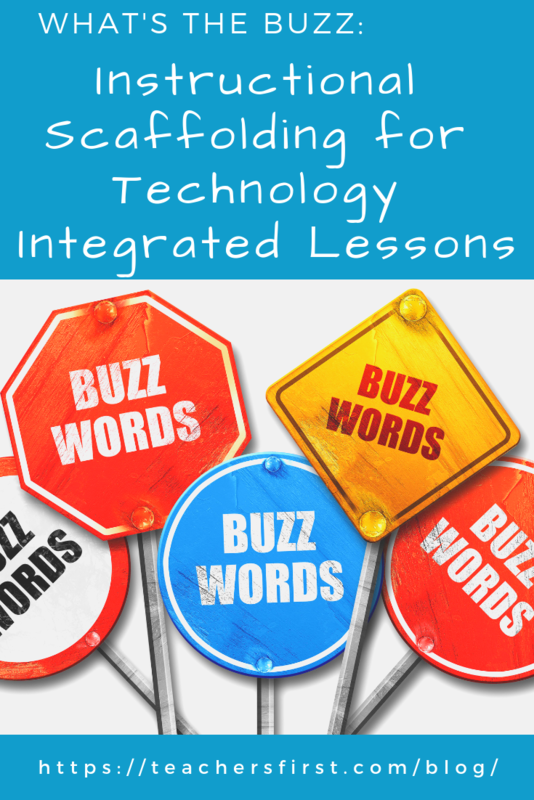 Scaffolding lessons requires additional effort during the planning phase. The extra preparation affords you the opportunity to take on the role of facilitator during the lesson. Lesson scaffolding can look very different depending on things like your content, instructional style, and grade level. A science teacher I used to work with always used “I do – We do – You do” as her lesson scaffold. It made a lot of sense as her students did a lot of experiments. The modeling and whole class practice gave students the repetitions that they needed to be able to complete the activity alone or in pairs. Since today is Digital Learning Day, I thought I would share one of my favorite scaffolding strategies for technology integrated lessons. Templates are a great way to help students create things that can be used for authentic assessment. If I want to know what a student learned from reading a chapter of a book, I can ask them to mock up an Instagram post (template here) about it using a template. The template does the hard part – making everything look right – so that the student can concentrate on the message. If I want to know what the student learned about the Revolutionary War, I could ask them to show me what Washington’s Facebook (template here) page might have looked like. The scoring rubric could include an understanding of the timeline included using posts that reflect salient moments, friends added to the page, and images used. Maybe you don’t want to use templates for assessment. You can use templates to guide your lesson instead. If you have young students, you might have them draw a picture and use it to illustrate number sentences. With this template, you can do that using Google tools. There are many teachers and tech coaches who share free templates all over the web. Here and here are a few templates with a variety of activities. For those of you who want to create your own templates, here are some directions. Previous Previous post: Last Minute Digital Learning Day No-Tech Resources…You Can Do This!